Max Talk 009: Why Max Velocity Tactical? This is a partial repost, because below I will include the previous post 'Warrior Mindset & Training Progression.' All the time, I see people 'playing checkers and not chess' when it comes to tactical training. There is more detail on this down below. Primarily it manifests itself in a focus on shooting, and only shooting. This takes a form of a journey into the minutiae of shooting technique, at the expense of tactical understanding and the holistic warrior i.e. which is more important? Stance, grip, or trigger press? Begin internet debate. I hope you see the point of my example. This focus is something we see not only from non-military trained civilians, but also from veterans who really should know better. I am not sure why they do this. If you see a veteran trainer who solely focuses on weapon manipulation, I would ask yourself why? They should know that more is necessary to achieve a holistic warrior - but perhaps they are not really trying to build such a warrior? Perhaps it is simply easy to teach shooting and weapons manipulation on the flat range, and at the same time they have an aversion to teaching civilians what they may consider proprietary information. Thus, the answer is to disappear down a rabbit hole on the flat range, and somehow call running between barricades and shooting fast 'tactical training.' It really isn't good enough, and they should (and probably do) know better. There have been a number of well known trainers who simply refuse to teach civilians anything approaching practical tactics. Having made the statement above, I am probably laying myself open to comments that I do not care about shooting or weapon manipulation. But I absolutely do, and we focus on it during class - we are very good at it, and at teaching it. But that isn't really the point. In simple terms, we need to teach you to shoot, move and communicate in a tactical environment. That means situational awareness. It is easy to read about but not easy to do - MVT classes are refined to teaching this in an excellent tactical range environment. Shooting is important but in itself it is just part of what you need to be able to do. If you only train shooting, and that shooting is also in a pseudo tactical environment (where you really know where all the targets are, and it is a two-dimensional flat range) then you are not training situational awareness and appropriate responses in a tactical environment. You cannot read ground. You may consider you are moving and communicating but it is only in ways that are appropriate to the flat range. Spending a life focusing on the minutiae of marksmanship only has so much utility. It is no good to you if you lack tactical awareness. It is fairly easy to train someone to a 90% point. They can spend the rest of their life working on the remaining 10%, which will of necessity include endless internet arguments about minutiae. I would rather take that 90% guy (or 70%, whatever), and train him in situational awareness, how to move and communicate appropriately in a tactical environment, and work with him. His 90% level on shooting is good enough for me, where we only really need minute of man accuracy. The 100% shooter who knows nothing tactical is no good to me. My advice is to train to shoot, and then ensure that you train as a true tactical shooter, by learning small unit tactics (SUT) and how to truly function in a tactical environment. If you start this at 70 - 90% you can then conduct continuation training to continue to improve on your shooting skills, while also working on your tactical skills. It is a loop that will reinforce itself, because you will adapt your shooting to ensure that it is appropriate to a tactical environment. Live fire tactical training along with force on force training is the gold standard of this true tactical training. 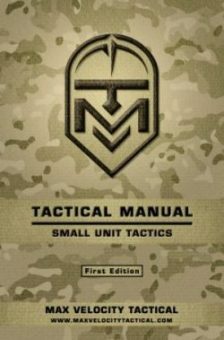 At MVT, the class designed to be the gateway to the excellent world of MVT small unit tactical training, is HEAT 1. Build that warrior mindset! But there is often an unwillingness to progress to true tactical training, due to misunderstanding / ignorance, and also a lack of willingness, skill or facility on the part of schools to teach it. The target of today's post is therefore the 'mainstream' tactical training culture. This seems particularity apt with my just having returned from SHOT Show. Between the gun derp, fudds, and the cool guys I didn't know which way to turn. Huge fun though! I just put out a post describing the current upgrades to the Velocity Training Center, and what we are doing to the class curriculum in 2018. What I am describing in that post is a state of the art facility at the VTC, combined with a curriculum that is designed to be a genuine tactical training progression. Thus, what we are doing is unique, with our mix of live fire, UTM force on force, and leadership training offerings, conducted in a designed and developed facility. This is why we attracted the attention of US SOF, who are now regularly training at the facility. Why? They can do more there, with greater freedom, than they can do elsewhere. Now, I will address one thing before I go on: I have called the class progression 'advanced tactics.' But are they or are they not 'advanced?' Here is the thing: all tactics come down to TTP's (tactics, techniques and procedures) executed well. Thus, it is all about good solid basics. You do of course have to have the right TTPs in the first place, and of course we do, because we are professional soldiers with the right training and operational experience. All tactics come down to being basic in the end, or you will not be able to execute them under fire. At the end of the day: 'brilliance in the basics.' There are no 'secret-squirrel super-secret drills'! However, just because drills are basic does not mean they are easy to execute, and certainly it is not easy to execute a drill as a tactic in the face of the enemy! 'Shoot, move and communicate' is easy on paper, but to actually execute that effectively in a combat environment is not so. So why 'advanced tactics'? Because we are progressing students to legitimate small unit tactics, which I have chosen to call hostile environment tactics, which in the sense of any other 'tactical training' is genuinely advanced training. I see a lot out there about firearms training in various feeds: Instagram, Facebook, Blog Posts, etc. What gets me is when I see instructors swiping at the industry because of such and such reason why training needs to be better, or any number of other interpretations and nuances that make up these articles, yet I see them all lumped into the same box. And yet here I am doing exactly that same! Yet, my claim in my defense is that I am standing on another hilltop, looking over at the 'mainstream' and voicing my disapproval. What I am not doing, is trying to get to the top of the mainstream hill by climbing on the back of others, stomping them into the mud. I fully realize here at MVT that we will always be a boutique operation, simply because of the quality and nature of what we do, the challenge of it, and how we need students at the intersection of many different qualities that make them want to seek the warrior mindset. So much out there seems to be mutually exclusive, where you have 'gun guys' who never do PT, and cross-fitters who don't like guns, and what we need are warriors who like to do PT and shoot guns and do tactical training, and invest in themselves! Thus, we focus on Heraclitus's nine fighters and one warrior, and I do not see that changing anytime soon. The universal problem with the 'mainstream' tactical training market, as I see it, is this: there are forever instructors talking about how to be better, how to do better, many such examples. But uniformly, what they are all really talking about, is the minutiae of weapons manipulation. There is usually very little 'tactical' about the subject matter. It is just this drill versus that drill. Thus, they are focusing on the 'shoot' part of 'shoot, move and communicate' where doing so may actually, without proper tactical context, be of detriment to students. Yes, there may be movement, but it is usually a bit of running around, without tactical context. Maybe even carrying a sandbag or two. Yes, I get it. So perhaps it is a short-sighted method of training? For perspective, we must not forget that much of the weapon manipulation and cool-guy stuff we see on flat ranges has far more to do with selling stuff than with any real training. After all, it is an industry, of firearms, gear and related merchandise, and much of what you see is marketing. There is nothing wrong with that, cool-guy gear and firearms sell, and this is either direct marketing from the companies themselves, or via training companies or instructors who are perpetuating an image and doing product placement. Let us all just remember that, when we are making training decisions. 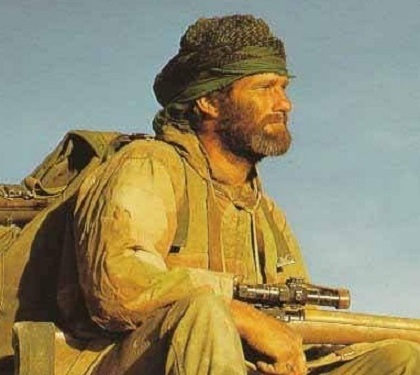 The secret is, to get to a level of effective tactical competence with a rifle, does not take that much training. You will need to continue to train to prevent skill fade, but once you get to a good level, you can spend the rest of your life getting better by very small increments. Great as a hobby. What you need to do is put that shooting skill into context with a proper training progression - this will also prevent you learning training scars by constant cool-guy shooting drills that will perhaps get you killed in a real survival situation. There are many types of instructors out there, and some only know what they know, and they may be good at weapon manipulation minutiae, but you cannot expect them to teach tactics if they do not have a professional grounding (plus ability to teach). When on the other hand you get professional soldiers of whatever flavor, they should know better. They do know better. They know that training involves progression to tactical training ranges, and that without that progression, it is worthless as combat preparation, a fun hobby at best. They also know that the job of a SOF soldier is not simply to shoot. It is way more complicated than that, and involves development of the qualities that I have listed at the top of this post. It would be easy for an uninformed reader to take away from what I have written so far that MVT does not care about flat range drills. Not so. We are very good at teaching weapons manipulation and combat marksmanship, correctly and with the right context for combat application. This is because we understand fully how important the aspects of the training progression are. You need to be able to manipulate your weapon as second nature so that you can get your head out of it while in contact, assess the situation, scan, communicate, and execute a drill at team level in order to be able to stand a chance of survival or victory. On the flip side, much flat-range shenanigans focus on worthless drills that are hollow shadows of what they are supposed to be, and may in fact be dangerous. Have you ever seen students mag-dumping at the 7 yard line then 'scanning' a small sector with their eyes glued to the sights? Or the fake robot 'scan' that sees nothing? My beef is with the lack of tactical context to shooting training which purports to be 'tactical' when in fact it is not. At most, what I see in so many Instagram feeds is an over-focus on minutiae which lacks the bigger tactical picture. I can set up targets and sprint around pew-pewing them all day. Fun, but am I going to do that in a firefight? The minutiae that I refer to is the over-focus on aspects that do form part of the training progression, such as barricade drills, reactive / reflexive fire, all that, but which however become a be-all and end-all in themselves. If as a trainer or student you lack tactical context or knowledge, and you have no way to do real tactical training, then it stands to reason that you will spin down the rabbit hole of minutiae and the pursuit of ever faster or varied shooting drills. The above having been said, could be taken as an indictment of any competition or fun shooting drills. Again, not so. Competition is a great way to gain training, have fun, learn things and practice. If that is all you ever do or have done, then you are missing the big picture. If you have conducted some real tactical training with all the benefits to positive character development, it is no thing at all to have some fun at a competition while understanding the true context of it. I read a post from a company called Guerrilla Approach that popped into my feed. It was interesting. It made many of the claims that I have listed above, by which it focused on 'better' ways to do what in fact were just more drills on the flat range. The author, Aaron, seems like a good guy, and he is a former Green Beret, relatively young (former 18X I think). He made a comment in the post about how he was doing shoot house training as a young buck, and noticed how the 'cadence fire' of the instructors was lacking; how they shot sporadically, and only shot when they had a good center mass shot. In essence what he was unwittingly saying was that he had been a victim of flat range shooting drill training, which was not how the instructors with experience were conducting themselves. The cadence fire of so many drills that you see simply did not cut it in a dynamic shoot house situation. What do we also have to do in CQB? How about target discrimination / PID, along with problem solving, decision making and effective communication. Fast eyes, fast hands, slow feet. Another thing that he wrote was that we have learned a lot, by which I think he really meant about shooting, during the GWOT. That is absolutely true, and we are so much better at the shooting we teach, from the current manual of arms taught for the AR, weapon manipulation, to effective combat marksmanship, than we ever were before. But the flip side is that due to the nature of many operations in the GWOT, we have forgotten much of small unit tactics. This is a disadvantage of those young enough to have not spanned pre-9/11 and then the GWOT - their relative tactical training and experience is lacking, regardless of how many CAS missions they have seen. We see much creeping in now that is GWOT influenced and could be very dangerous, particularly if we are looking towards conflict with opposition forces such as North Korea. However, that topic is for another article. Suffice to say, at MVT we are keeping SUT alive as a school of excellence, we disregard nothing that has been learned more recently, but we also try not to forget past knowledge. How do we do that? We must put in place a training progression that includes fundamentals through weapon manipulation to combat marksmanship. We then progress to tactical live fire ranges with unknown reactive targets, working as a team, in a dynamic scenario-based environment. We must include constructive force on force training in an SUT / CQB environment. We should also include mission planning and leadership training. In fact, the progression is really a loop. We move along it but circle back to the flat range to keep progressing our skills. Of course, such tactical ranges need to be designed and run by professionals in order to maintain high standards of safety. This is all what we do at MVT, and why the VTC is designed as it is, along with the class curriculum. In this and my previous 'The Warrior Mindset and Firearms Culture' post I essentially told everyone to get off their asses and do hard stuff. That is not unusual, although even the softest of these types of calls to action get push-back, because many are living in a fantasy land, legends in their own lunch break. What is new here is the call for 'gun culture' to move beyond square range work and into more realistic applications of using firearms for fighting. For many, square range classes are the hard things we are supposed to go do - to suggest this is not good enough, and that there is better, is heresy. Particularly for the industry which is happily making money off of cool guy merchandise and tactical fan-boys. Thus by denigrating the status quo in the current industry, I have committed the tacticool heresy of criticizing what a lot of people have come to see as the pinnacle of training. This therefore attacks not just the fudds, but also a lot of the tacticool types out there. Tying this to the warrior mindset also attacked a lot of folks of the type who have invested themselves in the huge 'punisher' logo and safe full of guns part of our culture. In reality lots of people talk a lot about warrior mindset, yet I don't know many who actually seem to know what they are actually talking about - mainly because they have never been tested, and never been forced to improve: essentially, untested egos. I also said the magic word, warrior. I therefore riled up the wrath of the fudds who don't think they need to be one, and the tacticool types who think they already are. That word, warrior, makes it about the the reader's identity.